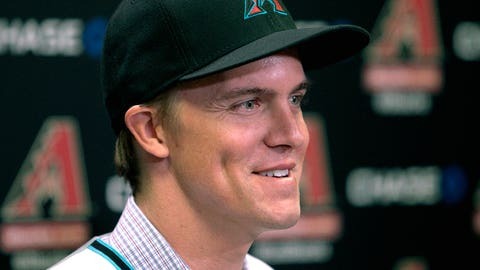 Zack Greinke is gone to Arizona, but hope remains in Los Angeles. There seems to be some concern, out there in Internetland – which can be a really scary place, in case you haven’t noticed – about the Los Angeles Dodgers, and particularly their pitching rotation. But I have this sneaking suspicion that most of this concern, however sincere, is related largely to what the Dodgers were expected to do this winter, and hardly at all to what they’ve actually done. Now, the Dodgers’ run differential wasn’t quite that good. Oh, but their third-order winning percentage was actually quite a bit better! It’s pretty easy to make the case that the Dodgers were one of the two best teams in the National League. Maybe the best team. 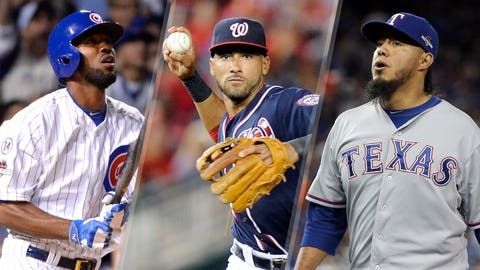 And they did this – with due respect and apologies to Brett Anderson and Mike Bolsinger and Carlos Frias and Alex Wood and Mat Latos and Brandon McCarthy and a bunch of other guys you might have forgotten already – without real good starting pitchers, once past Clayton Kershaw and Greinke. Via FanGraphs, we see just how those SIXTEEN Dodgers fared in 2015. You know about Kershaw and Greinke, who combined for 35 wins and 14.5 Wins Above Replacement. Next are Anderson and Bolsinger, who combined for about 3 WAR. And then you’ve got the other dozen starters, who combined for approximately zero WAR. Let me hasten to say those other dozen did have value. But it’s value that could have been duplicated at a relatively small cost. Or so the theory goes, anyway. My point is that as great as Greinke was, a) they’ve still got Kershaw, b) once you get past Kershaw, there are four rotation slots that offer opportunities to replace what’s lost in Greinke, and c) finally getting to the real point here, those opportunities are well within reasonable boundaries. Now, let’s consider what the Dodgers have actually done. They’ve re-signed Brett Anderson, who was their third-best starter last season and figures to be roughly as good again. They’ve signed Scott Kazmir, who figures to be better than Anderson. They’ve signed Kenta Maeda, Japanese star. In Joe Sheehan’s latest newsletter, he writes, "The attempt to import starting pitchers from Japan to MLB has been, by and large, an expensive failure." But as Joe also points out, Maeda’s getting "less guaranteed money over eight years than Zack Greinke will make by Labor Day." Japanese pitchers simply haven’t been durable in Usonia’s major leaguers, but the Dodgers don’t need Maeda to be durable. They just need him to pitch well for a year or two, with anything beyond that gravy. Also, they’ve still got Hyun-jin Ryu, who’s recovering from shoulder surgery. According to one study, Ryu’s got roughly an 80-percent chance of coming back strong, which would make him better than all but two or three of the Dodgers’ starters last season. They’ve still got McCarthy, due to return from Tommy John surgery at some point in the middle of the season. They’ve still got Wood, who’s historically pitched better than he did with the Dodgers last summer. There’s a perception that the Dodgers should spare no expense, because they can afford to. That’s a value judgment, which I’ll leave for another day. There’s also a perception that the Dodgers can’t win without Greinke, which is manifestly false; the Dodgers did win last year with Greinke, but a bunch of other teams won without him and a bunch of other teams won without two great starting pitchers. The Royals won the World Series without one great starter. Losing Greinke’s tough. Losing him to a division rival is tougher. But there are many reasons to believe the Dodgers can balance the loss of Greinke simply by improving at two or three of the other rotation slots.